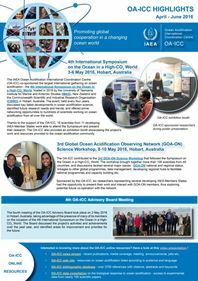 During its 51st Executive Council Meeting from 3-6 July 2018, the Member States of the Intergovernmental Oceanographic Commission (IOC) of UNESCO welcomed the Methodology for the Sustainable Development Goal (SDG) Target Indicator 14.3.1 and recommended to the IOC secretary as the custodian agency for this indicator to propose its upgrade from Tier III to Tier II. The SDG Target Indicator 14.3.1 calls for “average marine acidity measured at an agreed suite of representative sampling stations“. 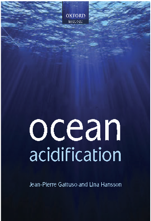 The Methodology provides guidance to scientists and countries about how to carry out measurements following the best practices established by experts in the ocean acidification community, including members of the Global Ocean Acidification Observing Network (GOA-ON), and explains how to report the collected information.